What to Do When You’ve Locked Yourself Out, Many of us have experienced the frustration of locking our keys in the car or house. With our hands full of bags, drinks, and phones, it isn’t hard to simply leave something behind. Maybe the situation isn’t too serious. You might have a family member in the house or maybe you have a second set of car keys. When this isn’t the case, however, you may find yourself wondering just what to do when you’ve locked yourself out. 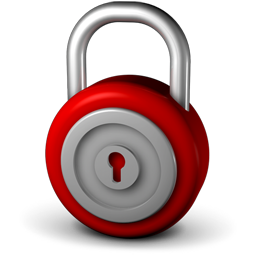 One of the first ideas is to call a locksmith in Stoney Creek, Ontario. However, there are some things you can try before you call. * Prevent the situation by stashing a spare key in a secure spot. This can be tough these days as many criminals are savvy to the most popular hiding spots, but with some ingenuity, you can keep a second key well hidden. * Check all of the doors and windows. There are many false alarms when a person thought they were locked out, only to discover and open window or an unlocked door on the other side of the car or the back of the home. * In emergency situations, you can call the police to let you into a car with a child locked inside. With the cold Stoney Creek temperatures, you won’t want to leave a child or pet in the car while you try to find a way in. * You might consider breaking a window. You’ll need to weigh the costs of the broken window with the costs of hiring a locksmith around Stoney Creek ON. However, if there is an animal or child in the car, this is a no-brainer. When all else has fails, call your friendly neighborhood locksmith in Stoney Creek. Look for one with a quick response time. It is never a bad idea to have one pre-selected and carry the contact information on you. Everyone experiences a lost key or locked in key at one time or another. Having already talked to and selected a locksmith means you know you have someone you trust on the way to help you.